Unit: 1st Battalion, 36th Infantry Regiment, 1st Stryker Brigade Combat Team, Fort Bliss. Private First Class Jamie Riley, 21, of Fair Haven, N.J., followed his heart from a young age to serve in the United States Military. He enlisted into the Army on Jan. 23, 2018, after attending Saint Joseph's University in Philadelphia, Pa. He was a Cavalry Scout, Reconnaissance Soldier stationed at Fort Bliss, Texas, where he was assigned to the 1st Armored Division, 1st Battalion, 36th Infantry Regiment, 1st Stryker Brigade Combat Team. On the evening of Jan. 22, 2019, Jamie, along with another soldier, were both fatally injured in a Stryker vehicle accident during a training exercise. Although his time was tragically cut short, his prestigious awards and decorations include the National Defense Service Medal, Global War on Terrorism Service Medal, Army Service Ribbon, Air Assault Badge, Combat and Special Skill Badge, Basic Marksmanship Badge, and Bar, Weapon: Rifle Expert. A 2015 graduate of Red Bank Catholic High School, Jamie was a natural leader, excelled in football, track and field, and practiced Tae Kwon Do, achieving his third degree black belt. Jamie was an avid outdoorsman who loved to exercise and train intensely with military firearms. He was also an animal lover, who loved all of his Boxer dogs immensely. Jamie will be deeply missed by his parents, Carolyn and Carl Riley; his younger sister, Cassidy Riley; grandparents, Dr. James F. S. and Noreen Reid of Keerbergen, Belgium, and John and Lorraine Riley of Middletown, N.J., and his best friend, Christopher Appezzato of Fair Haven, along with multiple other close relatives and friends on both sides of the Atlantic. Visitation will be Monday, Feb. 4, at Tower Hill Presbyterian Church, 255 Harding Road, Red Bank, N.J., from 11 a.m. to 3 p.m. and followed by a funeral service at 3 p.m. Interment will be private at Arlington National Cemetery. In lieu of flowers, please make a memorial donation to the Fisher House Foundation at fisherhouse.org. The Fisher House Foundation builds comfort homes where military & veterans' families can stay free of charge, while a loved one is in the hospital. The Thompson Memorial Home, Red Bank, NJ has been entrusted with the arrangements. Pfc Riley died as a result of a crash between two Stryker vehicles at McGregor Range in Otero County, New Mexico on Tuesday, January 22, 2019. Riley, 21, served as a cavalry scout and joined the Army in January 2018. He arrived at Fort Bliss in June 2018. His awards and decorations include the National Defense Service Medal, Global War on Terrorism Service Medal, Army Service Ribbon and Air Assault badge. He was assigned to the 1st Battalion, 36th Infantry Regiment, 1st Stryker Brigade Combat Team. TRENTON – Governor Phil Murphy today ordered that the U.S. and New Jersey flags be flown at half-staff at all state buildings and facilities in honor of the late Private First Class Jamie R. Riley of Fair Haven, New Jersey on Monday, February 4, 2019.“I am deeply saddened to hear of the death of Jamie Riley, a dedicated servicemember from New Jersey,” said Governor Murphy. “Jamie was selfless in his service to our nation, sacrificing his life to protect the freedom of his fellow Americans. Tammy and I extend our sincerest condolences to Pfc. Riley’s family and friends in this difficult time.”On Tuesday, January 22nd, Pfc. Riley was killed in a training accident while on active duty at McGregor Range in New Mexico along with Corporal Cole Trevor Wixom of Bloomingdale, Michigan. Seven other soldiers were injured in this tragic occurrence.Pfc. Riley served as a cavalry scout and joined the Army in January of 2018. 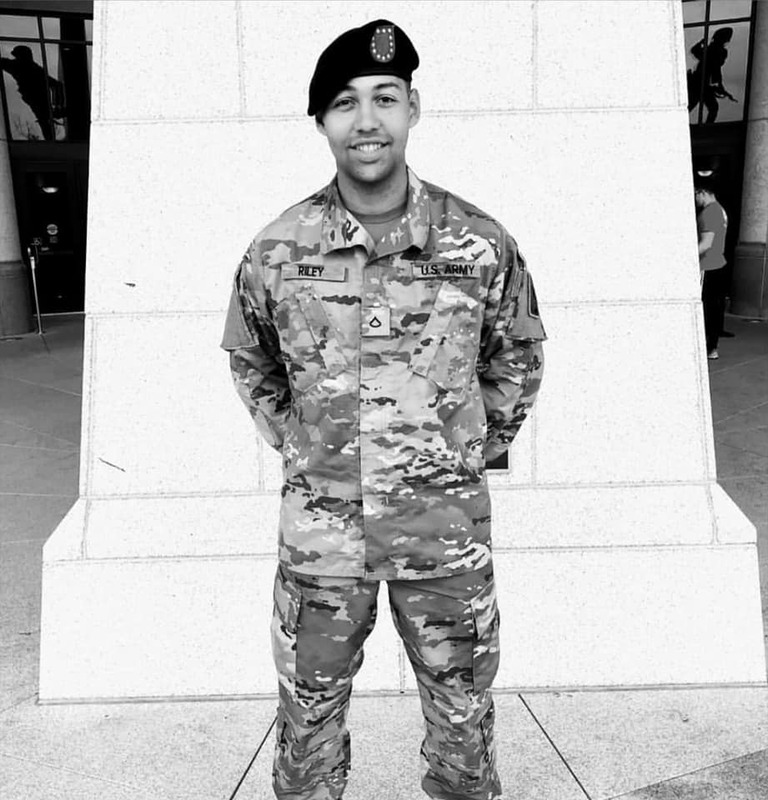 As a servicemember, he arrived at Fort Bliss, Texas in June of 2018. His awards and decorations include the National Defense Service Medal, Global War on Terrorism Service Medal, Army Service Ribbon and Air Assault badge.